Its late February, as you likely know, and that means what it always means: its time to get some miles in on the road, one way or another. 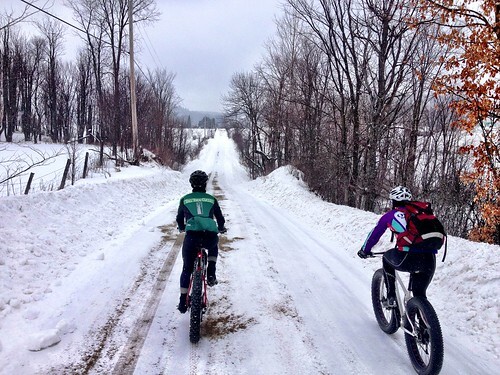 Today's way broke with tradition: we drove to Wakefield to ride the good stuff, the snow roads. 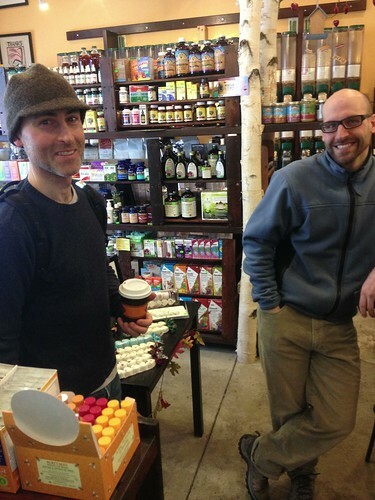 Iain, Marcel, and Robbi-from-the-internet gathered at Pipolinka, obviously, to kick off the ride. Ahhh, home away from home, Pipolinka. Is the coffee a-flowin? You bet it is! Vegan choc-chip ginger muffin to boot! Robbi, Marcel, Iain. Matt behind the ol' SLR, i.e., iPhone 4S. We remembered our bikes....phewf. 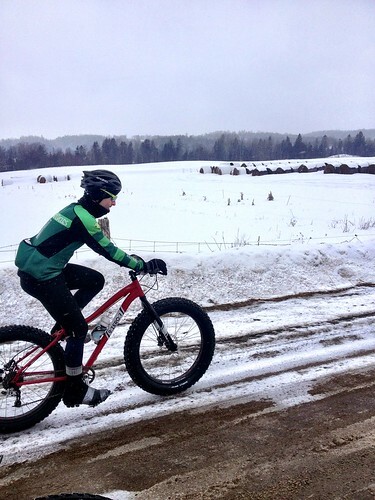 Robbi's mtb was smaller. Obligatory covered bridge shot. Marcel, on the way out. 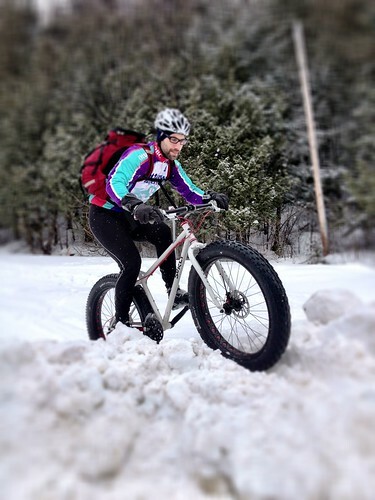 Its tough riding packed snow on a fat bike with 20psi. Huge difference versus 5psi. 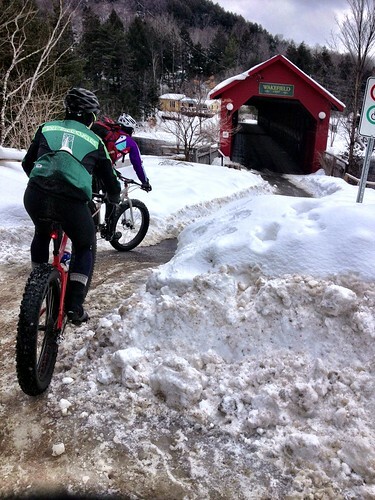 Our foray up an unplowed road from the bridge was ok for the fatties, but not Robbi's regular mtb. Back down to try another link up to the 366. That one was also ok for us; Robbi had a solid hike. Marcel cleared the bank too, ready for the next challenge. 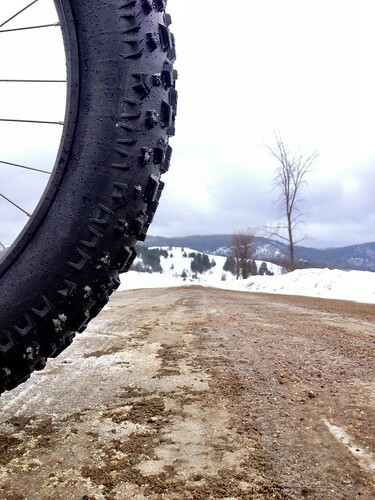 Marcel rolled on a Larry and Endomorph, ideal tires for the snow roads, which were quite hard-packed, idea, really. With a temp above zero, some sections were quite wet. Under zero, they'd be perfect. 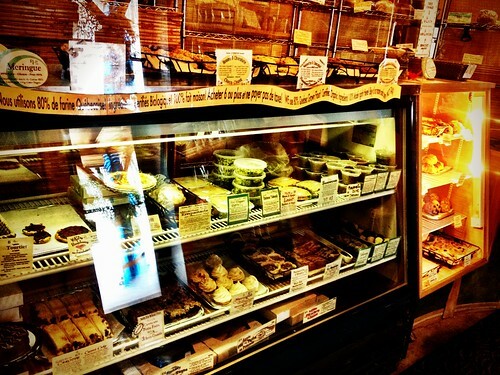 First ride of the season on the open roads, you gotta stay on top of eating. You don't want to bonk out there. Wrong turn, good for a pic. All-day pace....except up Woodsmoke! Here we pass through the Wakefields. Staying dry(ish) required staying on the snow. Heading back into town, after about 3:20 out on the roads, and 55k. Well earned coffee and smoothies at La Foret, a brilliant compliment to Pipolinka, just next door. The verdict? Amazing ride. 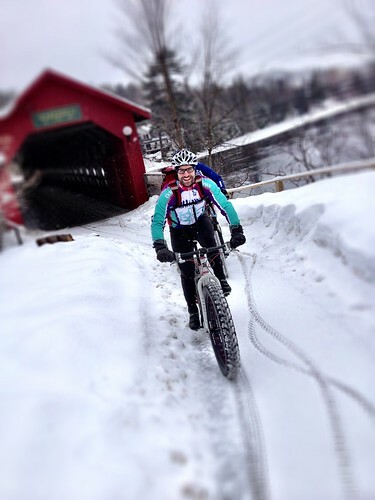 We've talked about trying the roads in the winter before, but never driven up to try. Riding from home and back is 80k, so that would be the whole ride, and a wet, flat one. Driving up to Wakefield puts you right in the good terrain and salt-free snow covered dirt roads, away from traffic and spray, as long as its below zero. 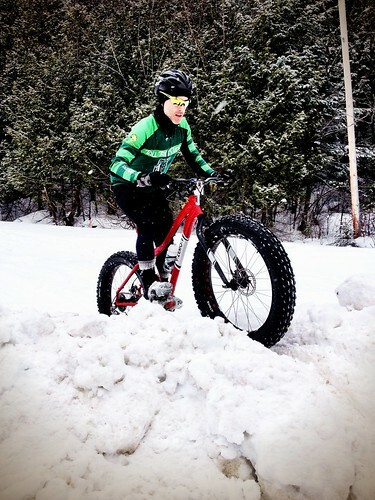 The fat bike is extremely stable on this sort of surface, and shockingly efficient with 20lbs pressure in the tires, even aggressive Surly Nates. Yes, climbing roads that are tough on the best of days are yet tougher on a 26-35lb bike, but the traction is good, and there is no pressure to hit a PB. 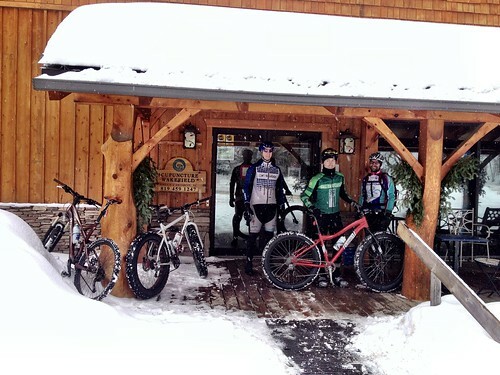 Its all about putting in some beautiful hours on the bikes with good company. I can't think of a better way to build the fitness required for the challenges spring brings. 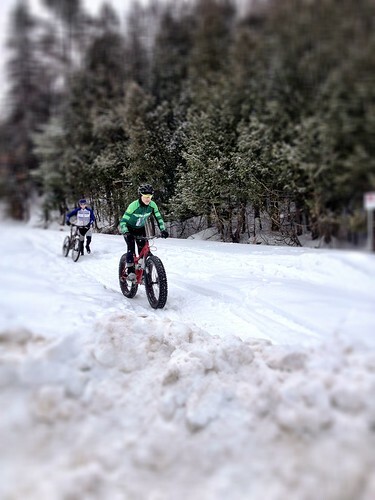 Next winter we'll get up to the Wakefields to ride more often. If there is interest, we'll put together a group ride or two. Between -10 and 0, it won't be hard to stay comfortable out there, especially with wind buddies! 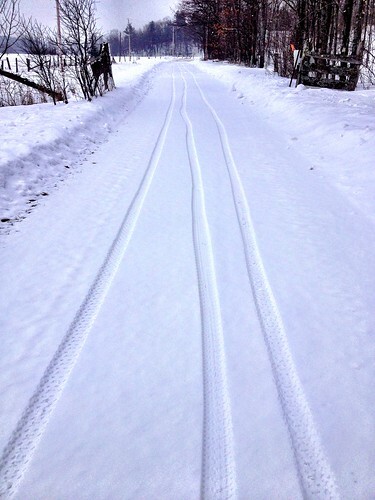 Now I need to find a fat bike, since I've just learned that I could keep riding all the trails by my place in winter if I had one!